Gogi Saroj Pal (b. 1945) did her post graduate work at the College of Art, New Delhi. Gogi’s paintings are a mirror held up to society, showing the disparity in relationships between the sexes and are designed to exhibit the vicissitudes of a woman’s life. solo exhibitions of her works, participated in multiple international exhibitions abroad, and more than 100 group exhibitions in India. She was invited to participate in the 5th and 8th Triennale in India in 1982 and 1994, and most recently in the 2018 Print Biennale in Patna and the Art For Kerala Flood Disaster at the NGMA. Pal’s work forms a part of major museum collections in Japan, Amsterdam and Poland. 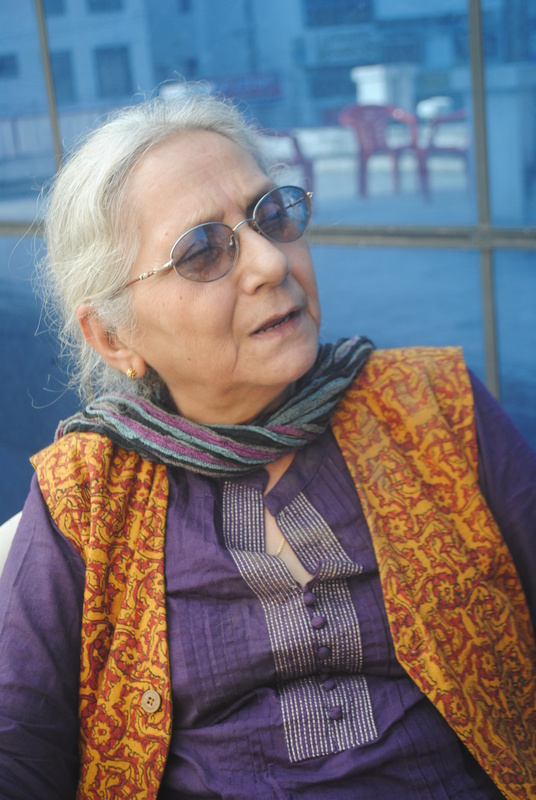 Among the honours she’s received, has been the Sanskriti Award in 1980, a fellowship to the Lalit Kala Akademi in 1981-82, a junior fellowship from the Department of Culture, Government of India, 1986-88, the National Award by the Lalit Kala Akademi in 1990, and awarded at the Cleveland Drawing Biennial, 1996. Gogi Saroj Pal lives and works in New Delhi.